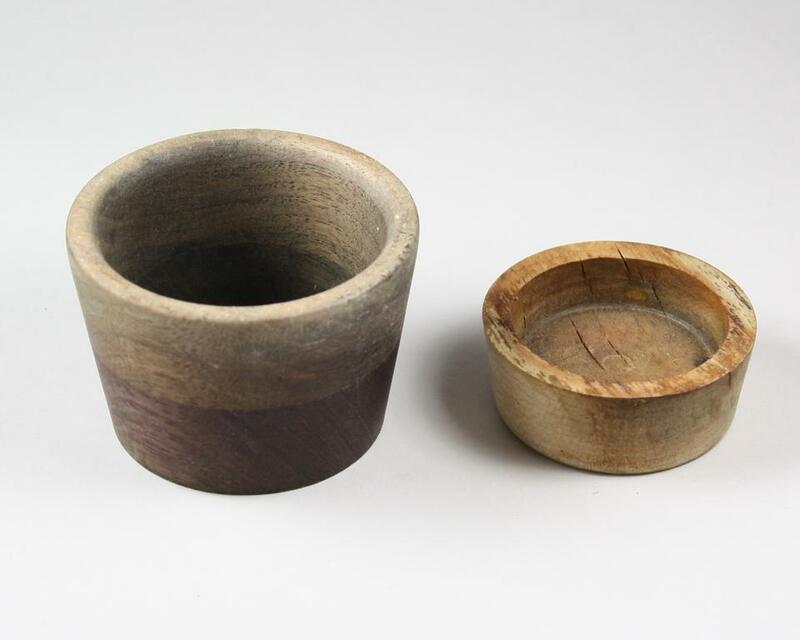 A few years ago I made a small bathroom cup on my lathe. 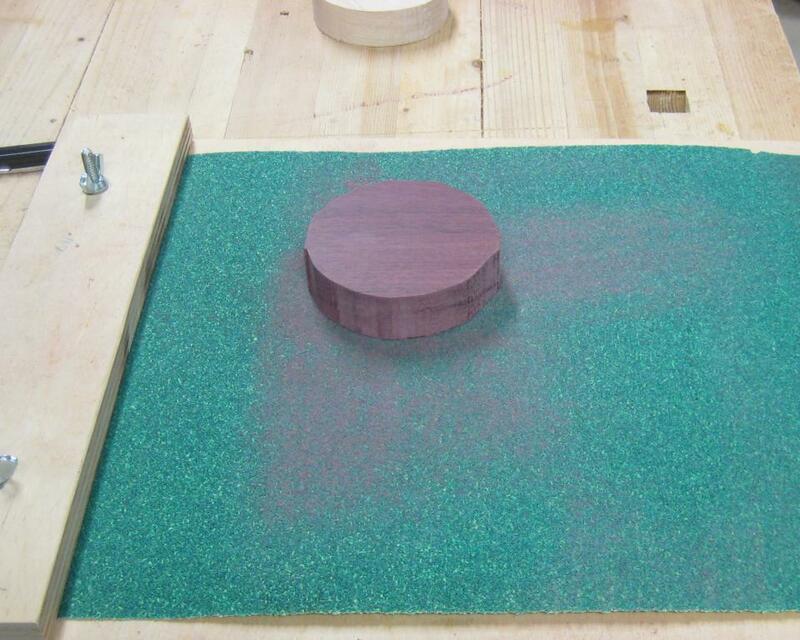 I turned it from a glued up block of maple, purple heartwood, and walnut. The cup lasted me about a year and a half and then the glue failed. I had used Titebond to glue the blank together and I never applied any hard finish to it, I only used a butcher block oil. That left me with the task of Turning Bathroom Cup mark II. This time I got some advice from one of the salespeople at Woodcraft. He told me that if it was going to be subjected to water, that I wanted to epoxy the blank together. Then I needed to finish it with a bunch of coats of urethane. Even then still, he said I shouldn’t let water sit in the cup, that I should make sure whoever uses the cup dumps any liquid out when they are done with it. 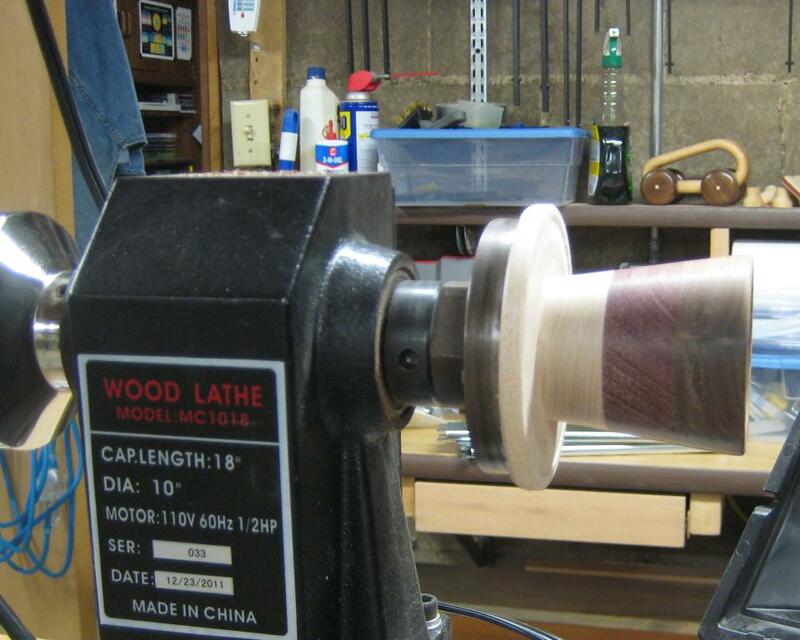 With that sound advice, I decided to give turning a cup another go. 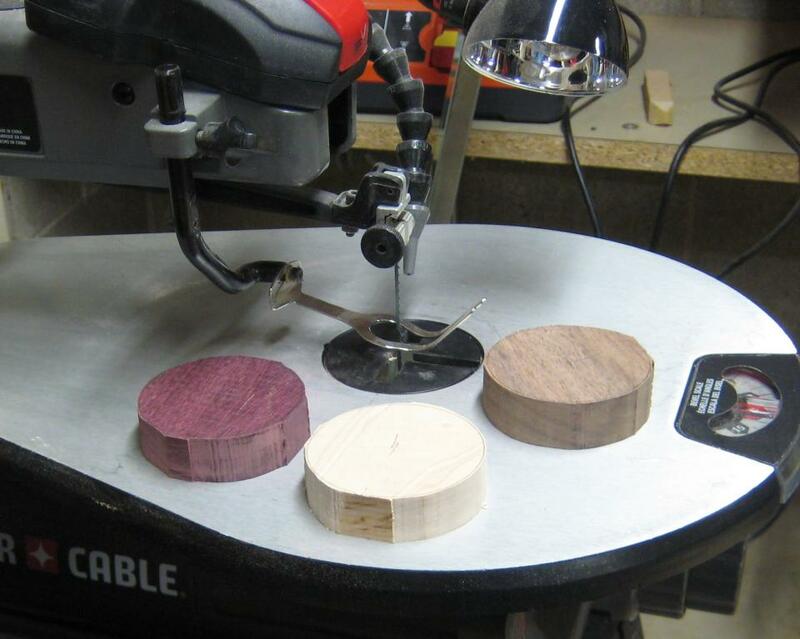 This time rather than make a square block I cut out circular blanks on the scroll saw. This minimized the amoung of material I would have to take off at the lathe, saving wear on my tools. I should have made some alignment marks though because it was harder to align all the grain in one direction while I was gluing it together. To make sure this cup stayed together I wasn’t going to trust that the planed surfaces were completely flat, so I sanded the faces of each blank flat first. Then I mixed together some two part epoxy and generously applied to to each surface that would be bonded. 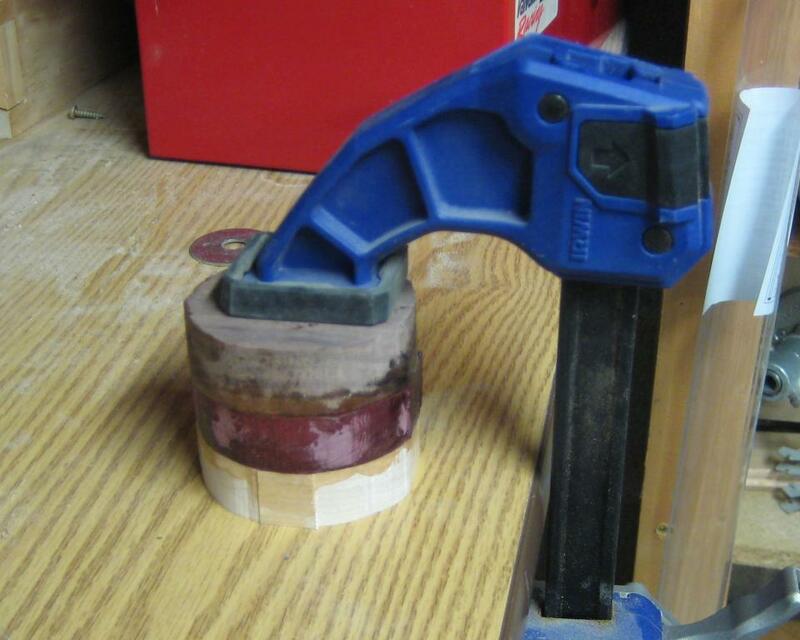 Once I got complete coverage, I grabbed one of my larger quick clamps to apply as much force as I could to the glue up to make sure to get rid of any air bubbles. 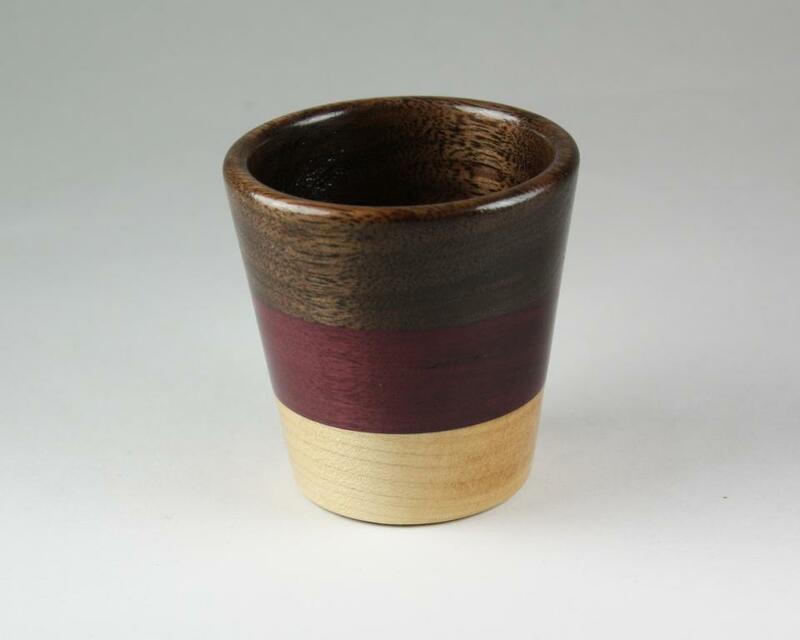 I didn’t take any pictures of turning this cup, but I had pictures from turning the first cup. I basically rounded the blank then used double sided sticky tape to fasten the blank to a wooden face plate. After I hollowed out the cup and sanded the top and inside, I removed it from the face plate and put it in my homemade Longworth chuck (that I never got around to posting) to finish the bottom. I applied 6-7 coats of General Finishes Arm-R-Seal to the cup to get the glossy finish shown above. It took about a month before the smell went away and felt I could safely drink water out of it.